Bhutan has been pronounced as the SAARC Cultural Capital for this year. 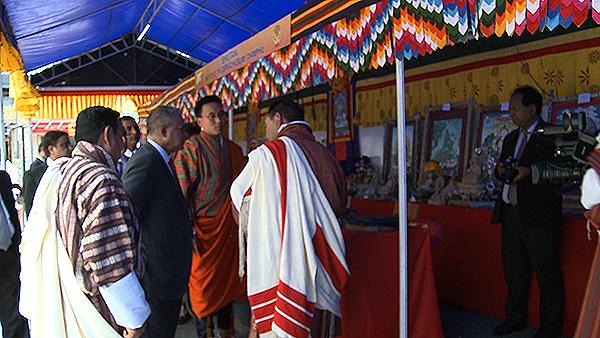 The inauguration ceremony for the second series of SAARC Cultural Capital and handicraft exhibition was held in Thimphu today. The first series was hosted by Bamiyan, Afghanistan, in 2015. The ceremony featured cultural programmes and exhibition of handicrafts of the SAARC member countries: Afghanistan, Bangladesh, Bhutan, India, Nepal, Pakistan, the Maldives and Sri Lanka. The declaration of SAARC Cultural Capital provides platform for SAARC member countries to exchange their diverse culture to promote regional unity and generate income for the communities. “The initiative is to give opportunity to member state to showcase their cultural aspect and other cultural related features. As the SAARC Cultural Capital, Bhutan will host various festivals and cultural programmes throughout the year. “We will organise festival and exhibitions that are very much relevant to SAARC countries,” shares Karma Weezir, Director General of Department of Culture. Every year, an archeologically and culturally rich city in the one of the eight SAARC countries is declared as the cultural capital for a year.